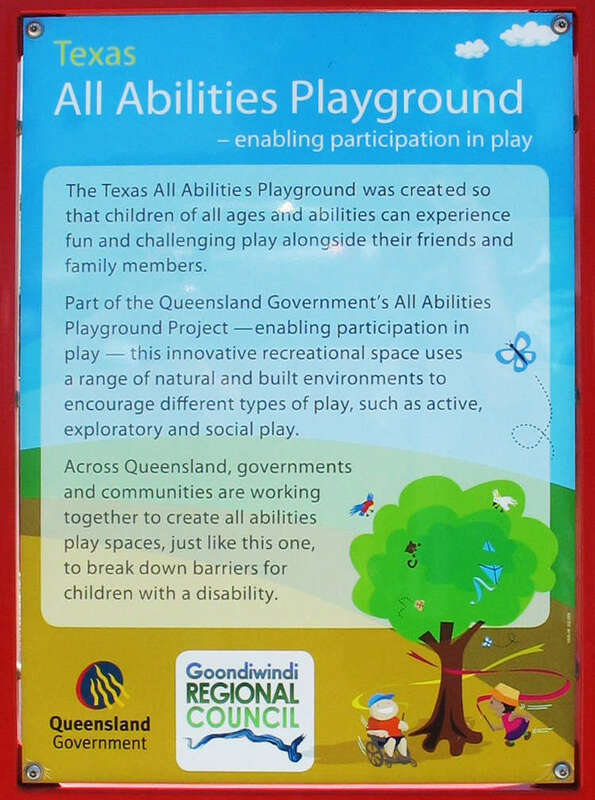 Texas All Abilities Playground was created as part of the Queensland All Abilities Playground Project. 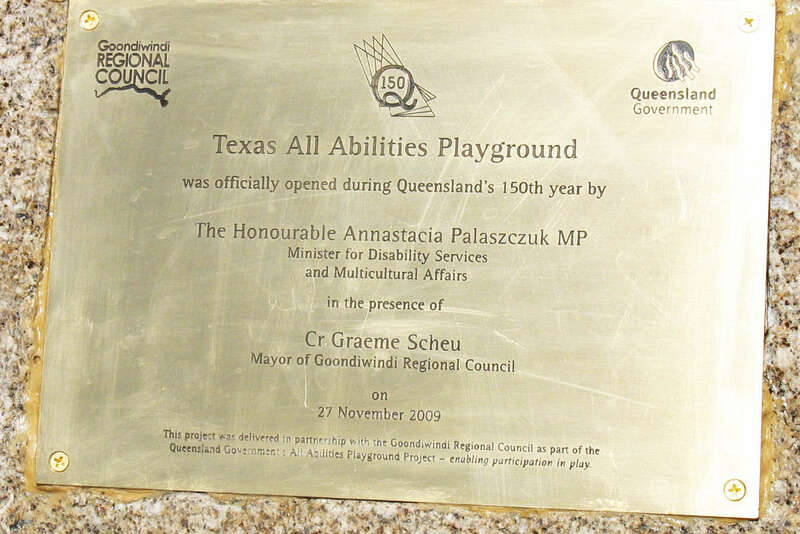 It was the town’s first dedicated family playground where children of all abilities have equal access to play facilities, whilst still providing a safe and challenging play experience. 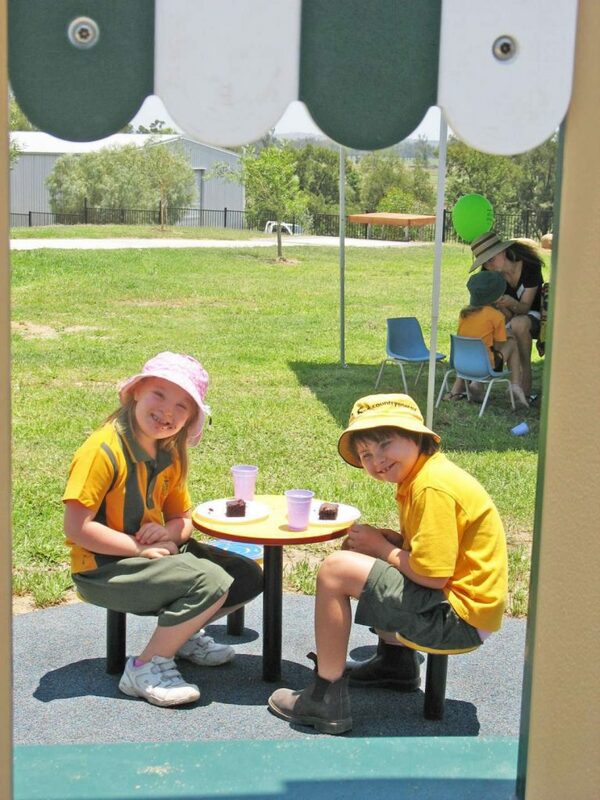 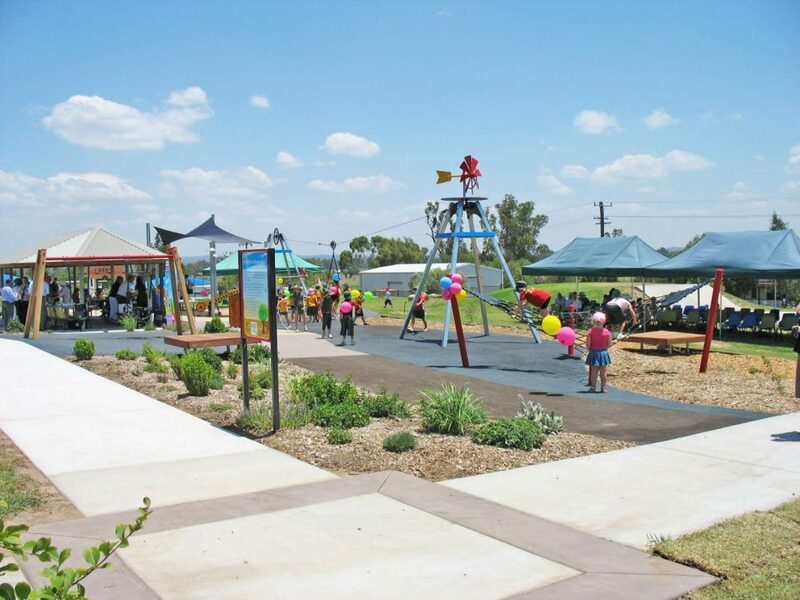 The community as a whole were consulted and considered in the design which incorporates active play areas, passive play opportunities and multipurpose spaces that can be used by senior’s groups, mums and bubs as well as families. The Texas project highlights that having access to quality, universally designed play spaces is just as important in small rural communities as it is for those in metropolitan areas. 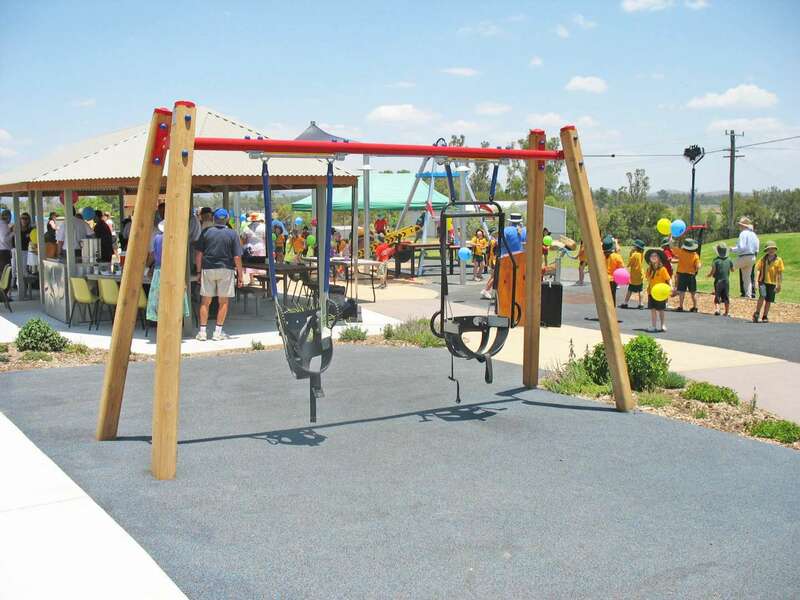 Careful planning and consideration of both the environment and suitable construction menthods and materials ensures the longevity and relevance of the project. 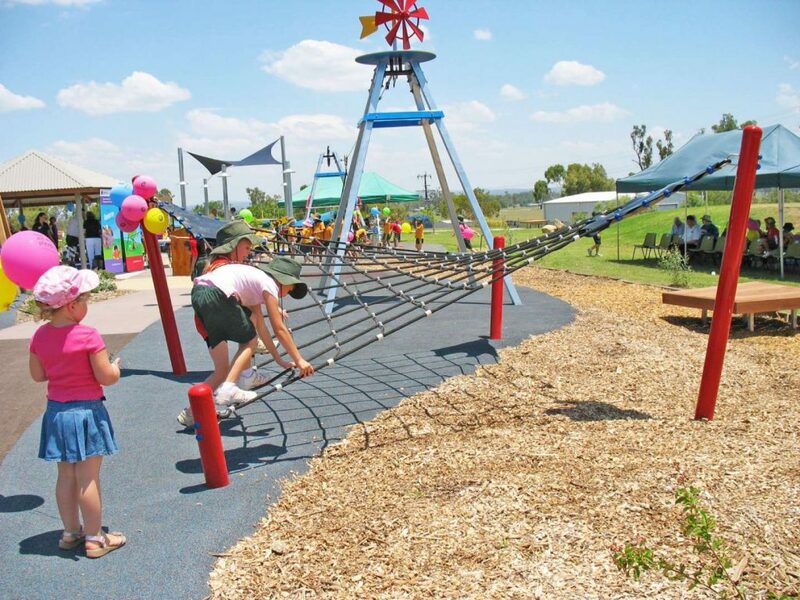 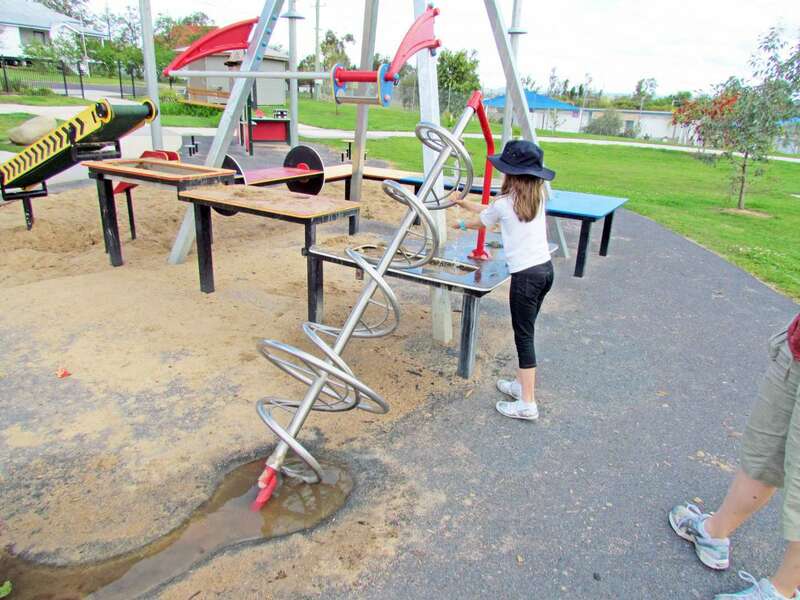 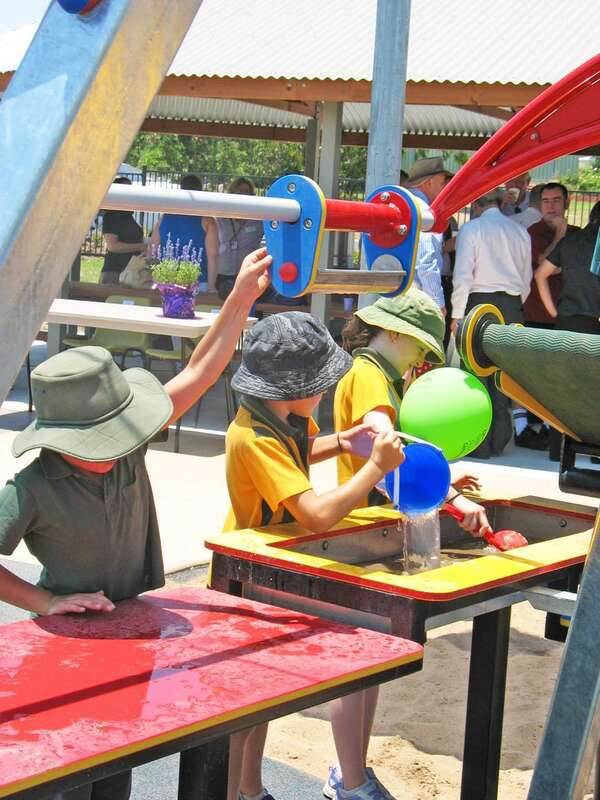 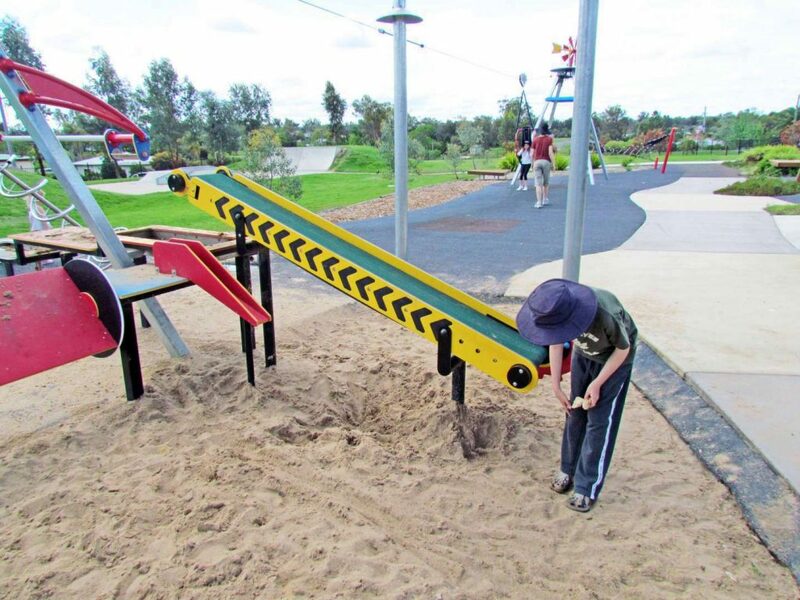 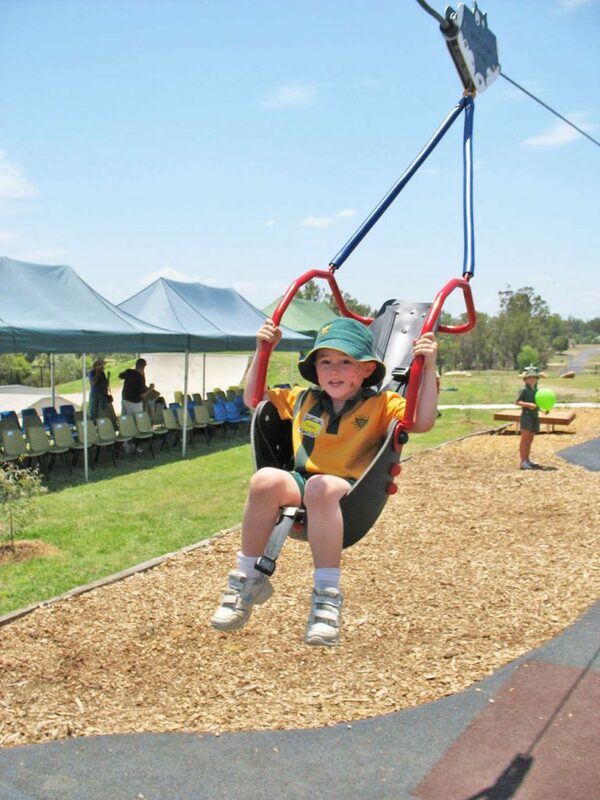 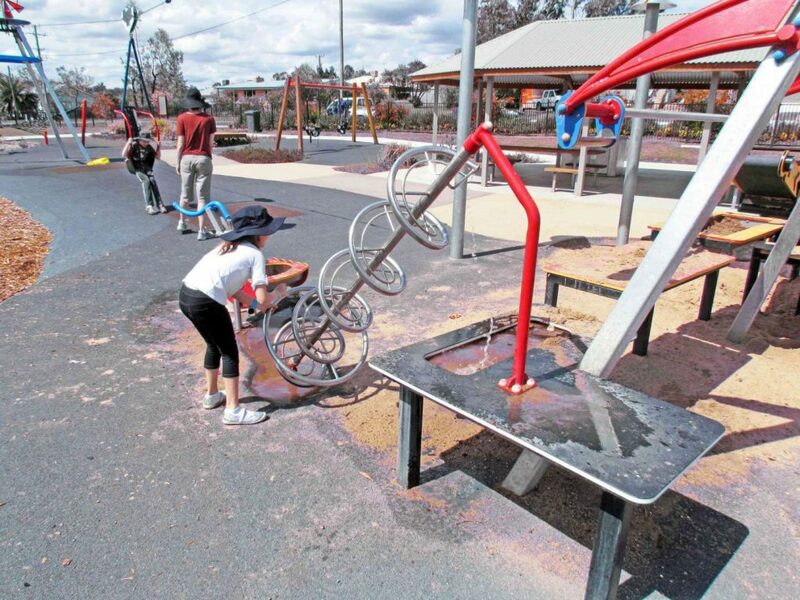 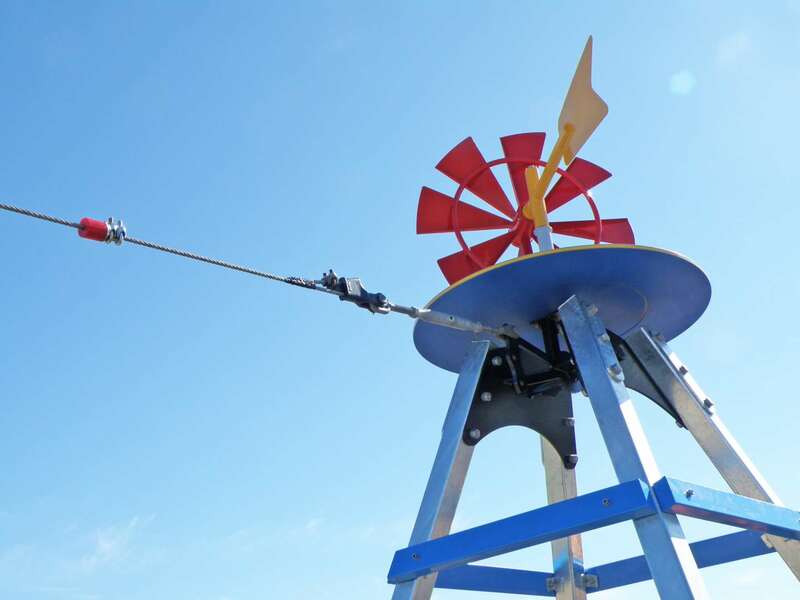 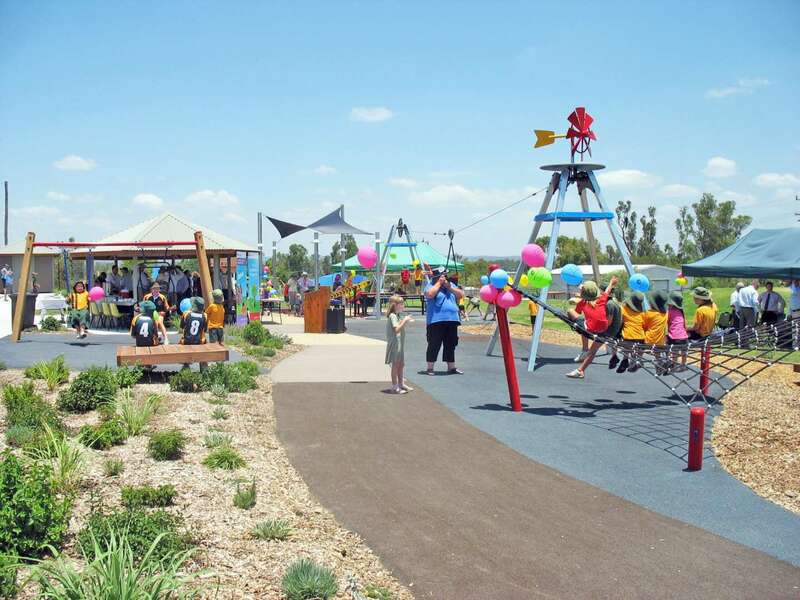 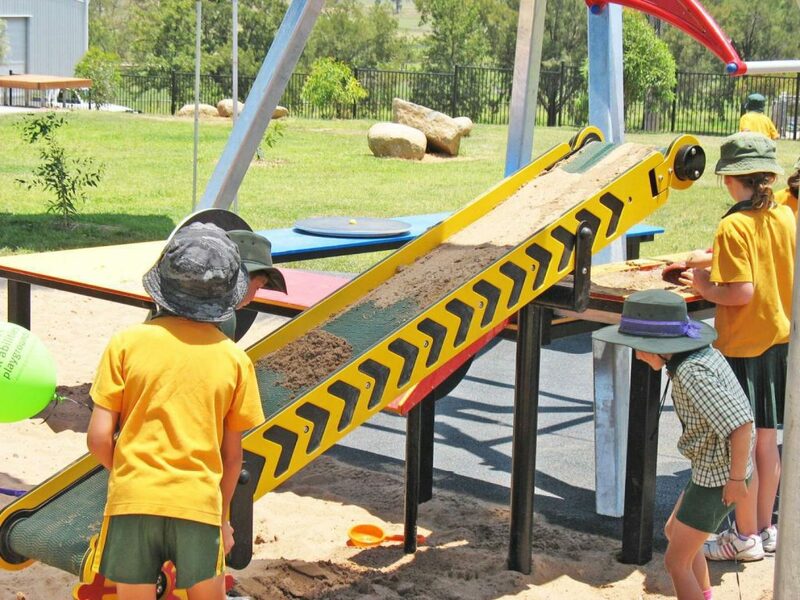 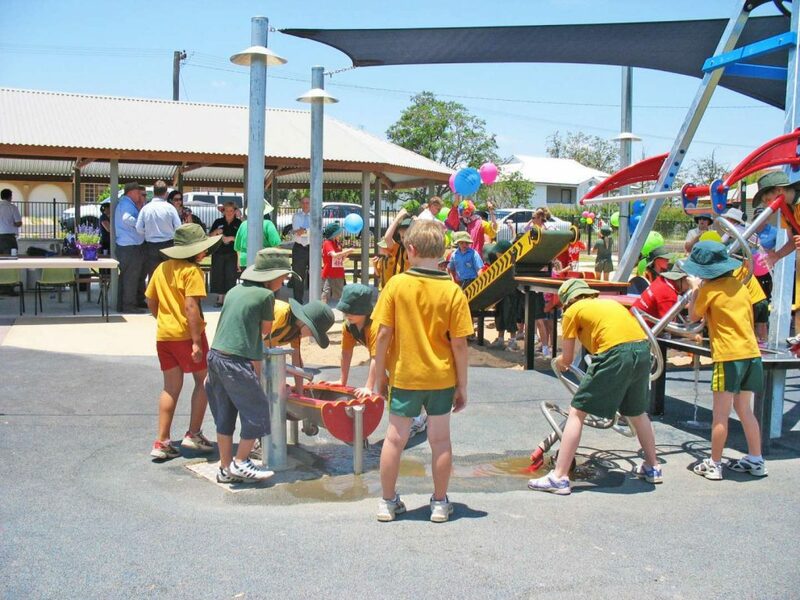 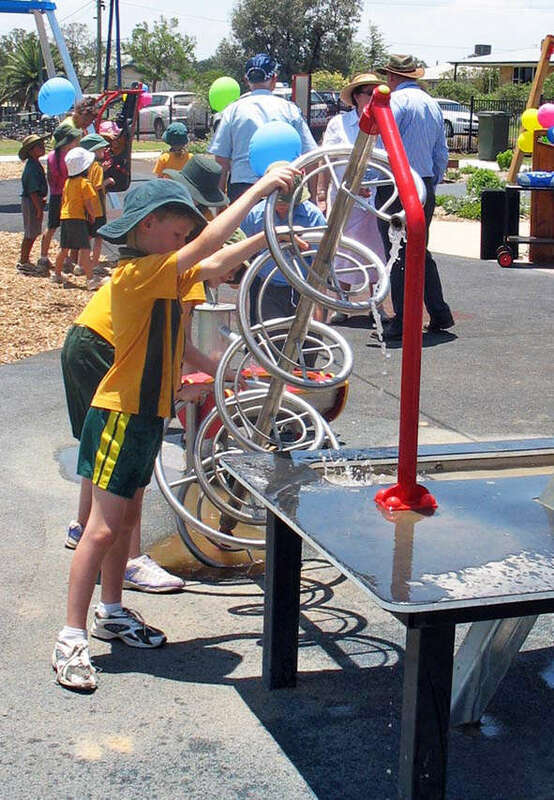 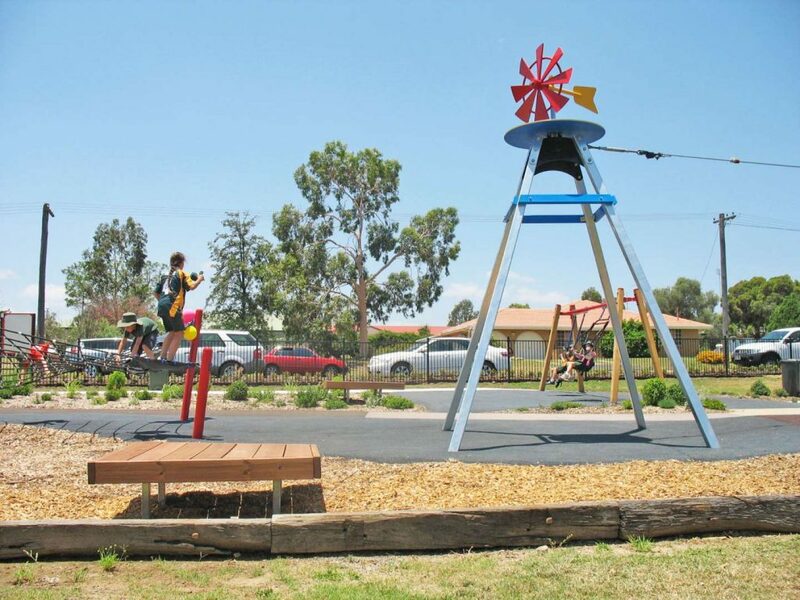 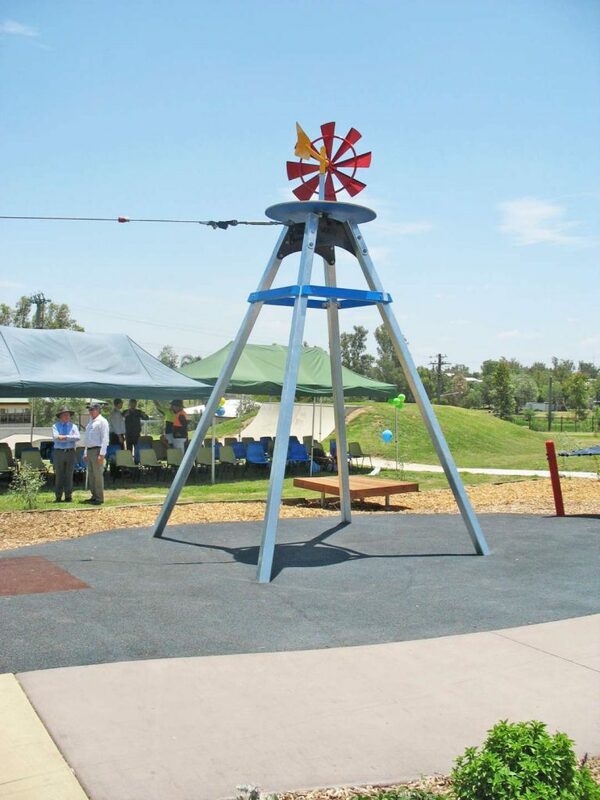 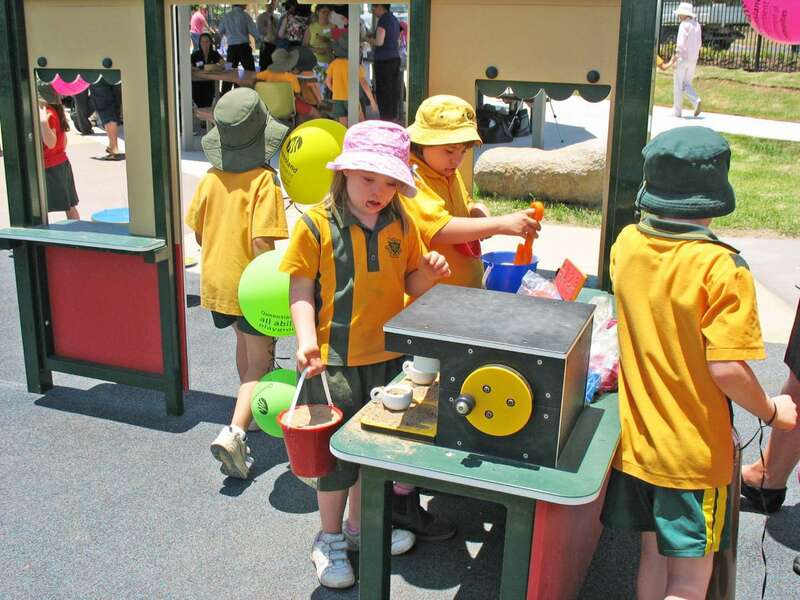 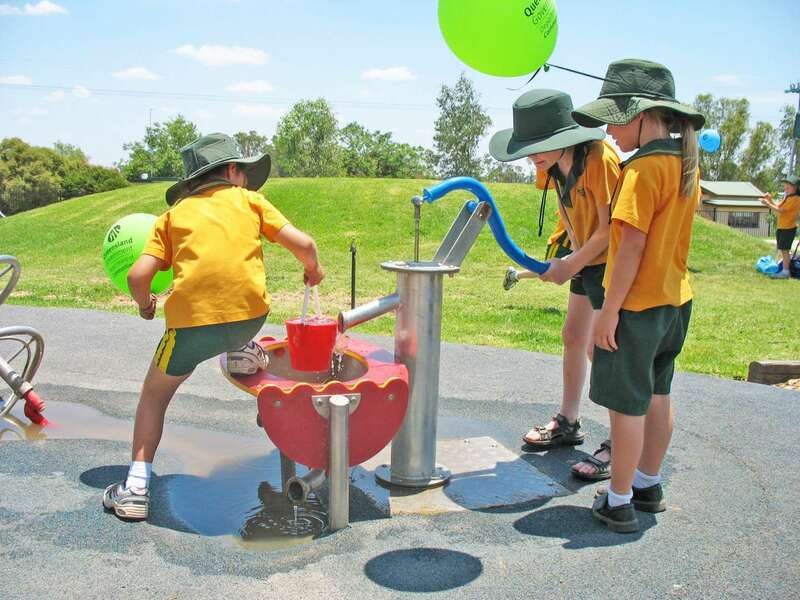 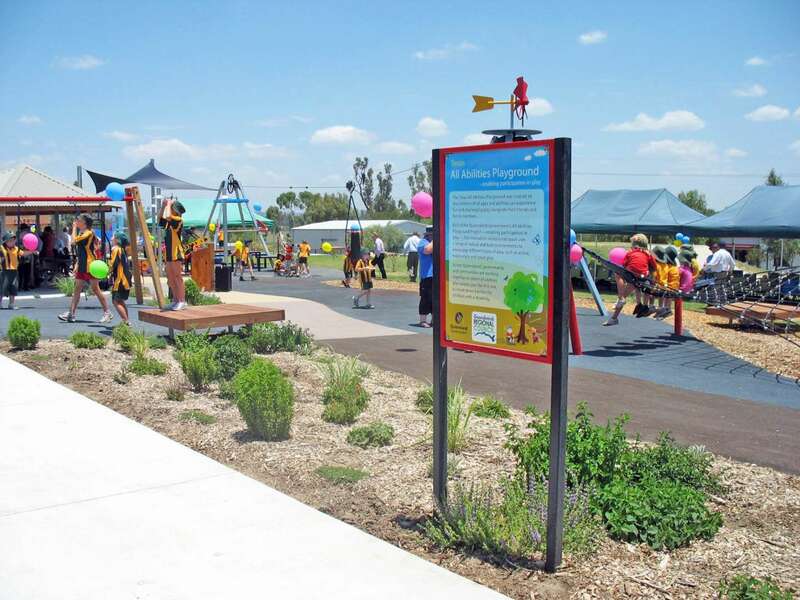 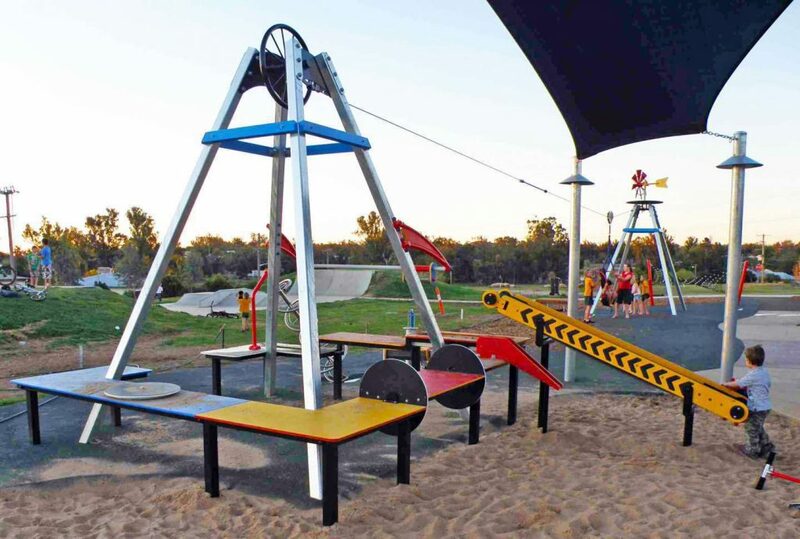 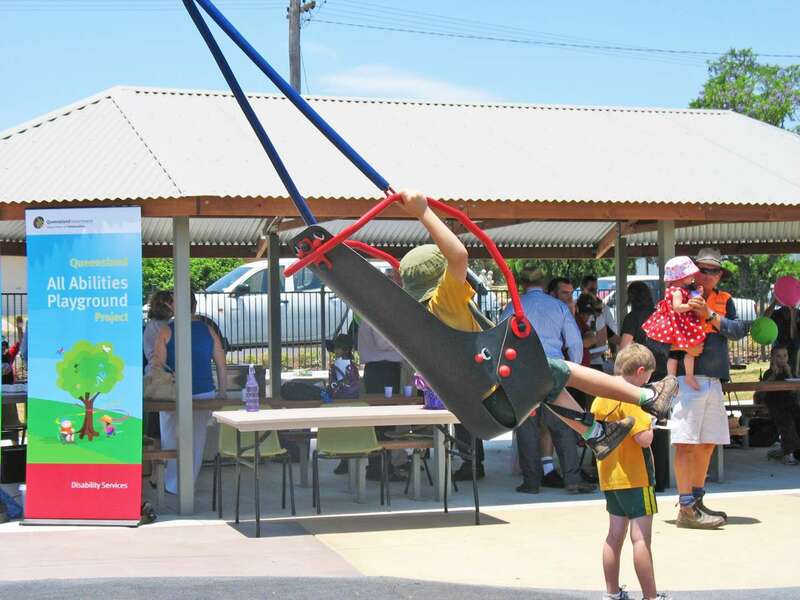 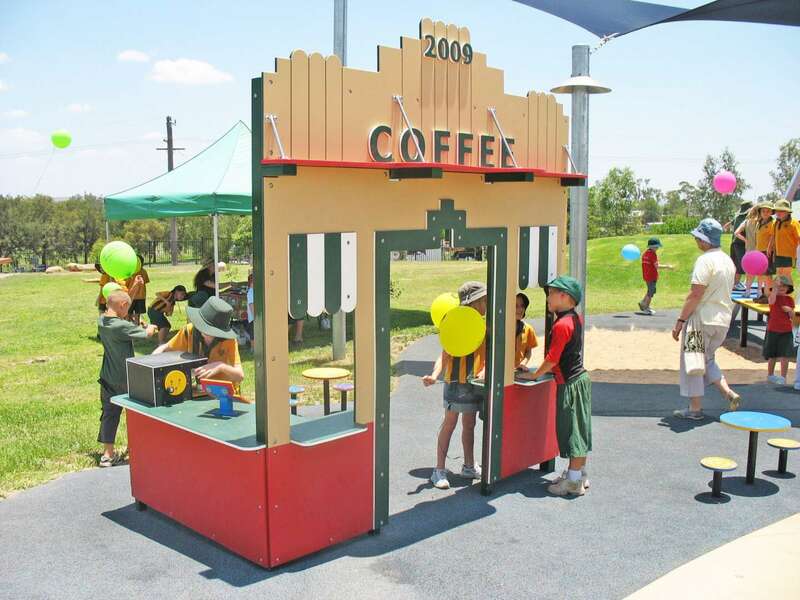 The community desire for physical and creative play led to the development of the ‘Silver Spur’ play area, which features a flying fox with an accessible harness, sand tables at different heights fed by a sand conveyor and water auger. 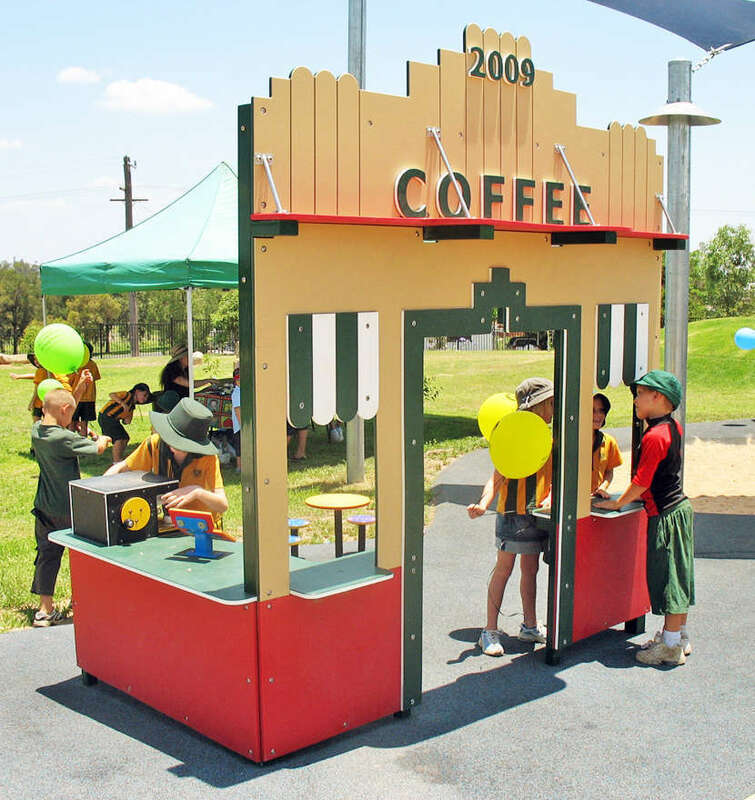 Accessible swings, climbing net and Texas store, modelled on the Texas Town Hall façade provide a rounded variety of play experiences.